Saturday is the WR Nonviolence Day In The Park! 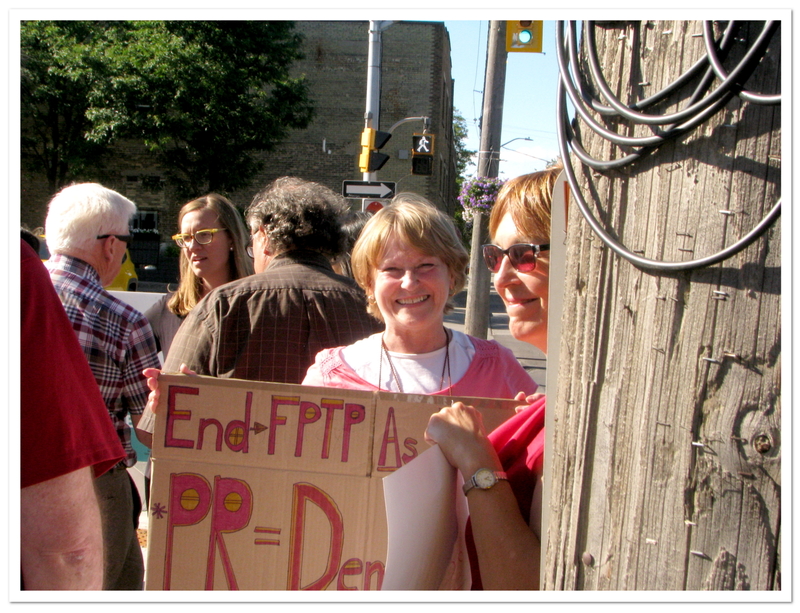 It’s the 14th Annual Waterloo Region Nonviolence Day in the Park! Visit the WRGreens booth on Roos Island, and make your own button! 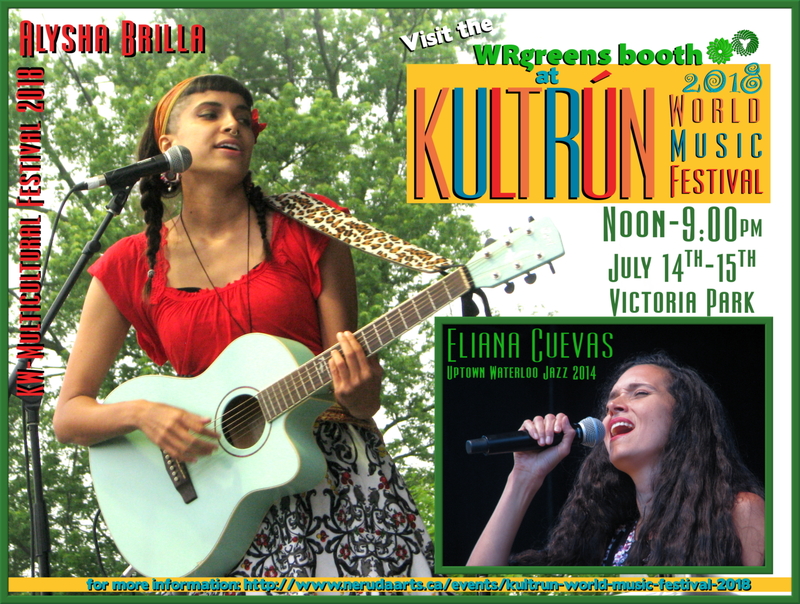 Join us at the Kultrún World Music Festival this weekend! 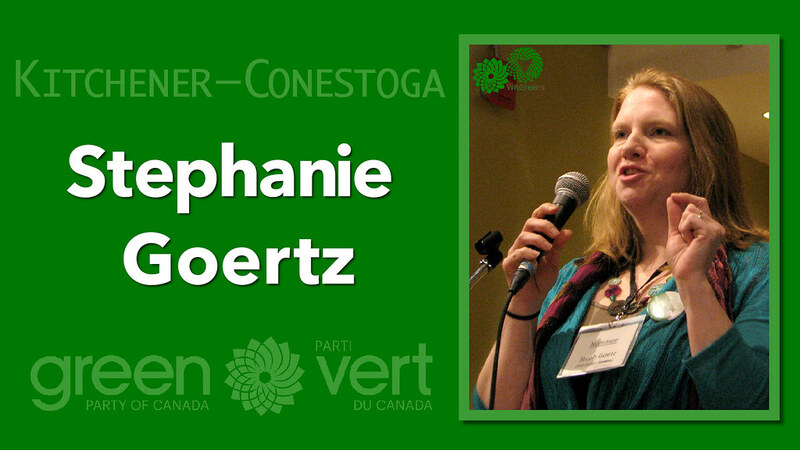 Visit the WRGreens booth to say hi and chat about green issues, where we’ll have a button making table for kids of all ages! But of course the real point of it all is the music! 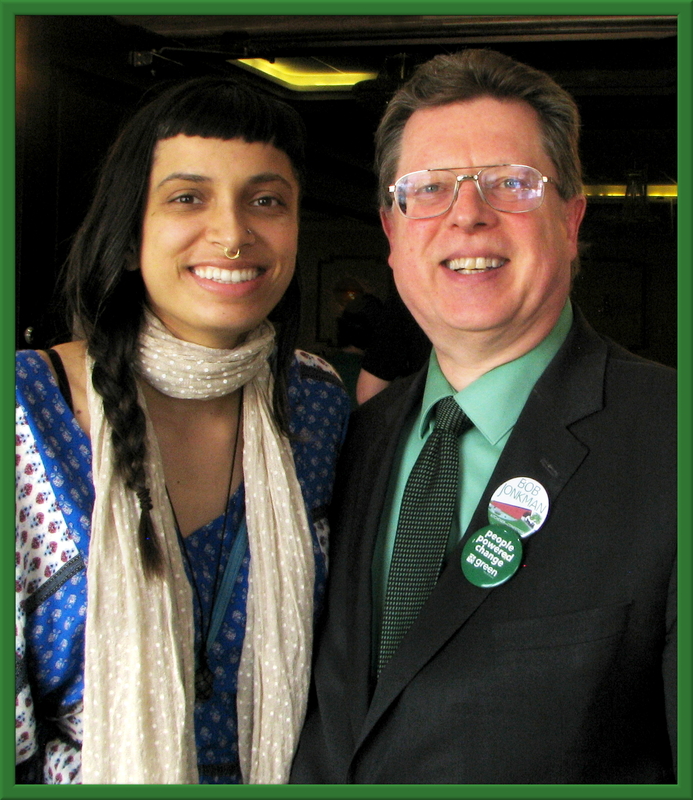 We’re looking forward to hearing indie Juno nominee Alysha Brilla (pictured below with Bob after her performance at the GPO Earth Day Rally. Although the Hon. 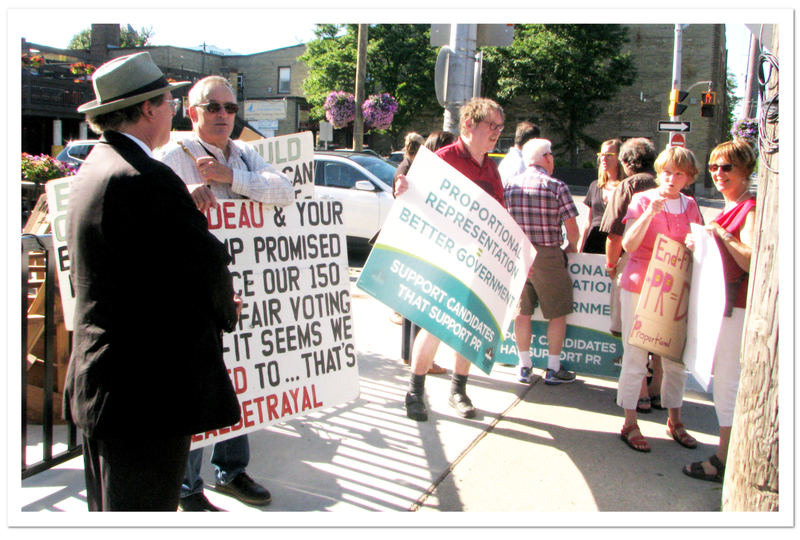 Bardish Chagger declined to attend (citing not enough notice) Waterloo Region’s 3 backbench Liberals were there. 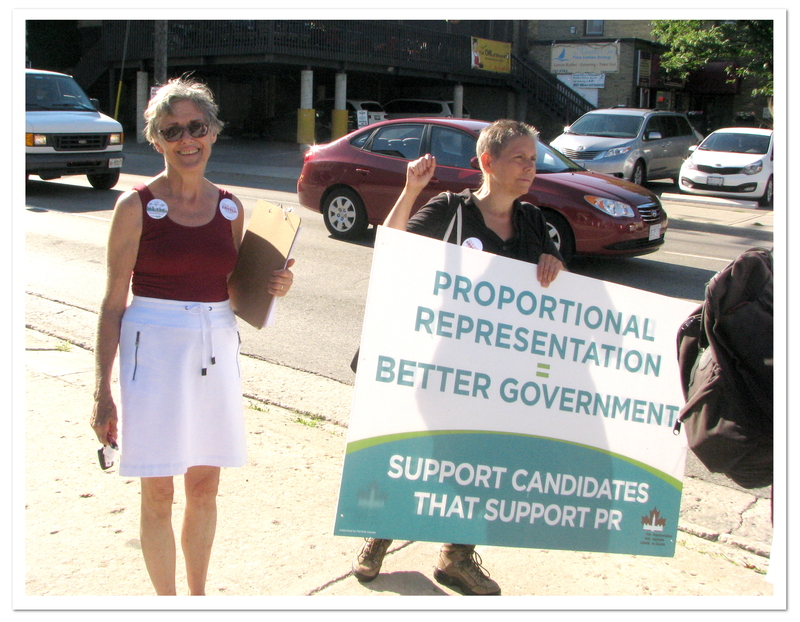 Naturally Greens were out for this. Of course there were questions from the audience. But questions were limited because the MPs time was limited: none of them had real answers, and all three had other places to go. 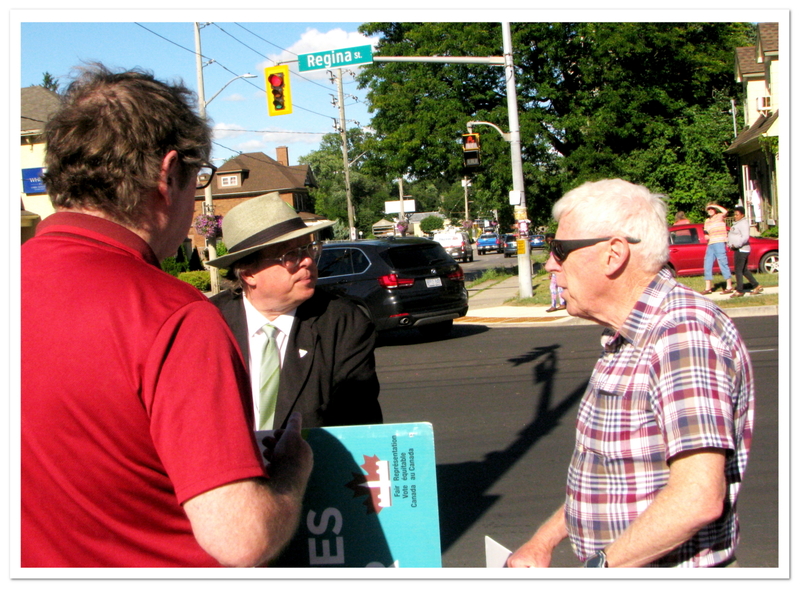 After they were gone, there was some good discussion about the way forward. 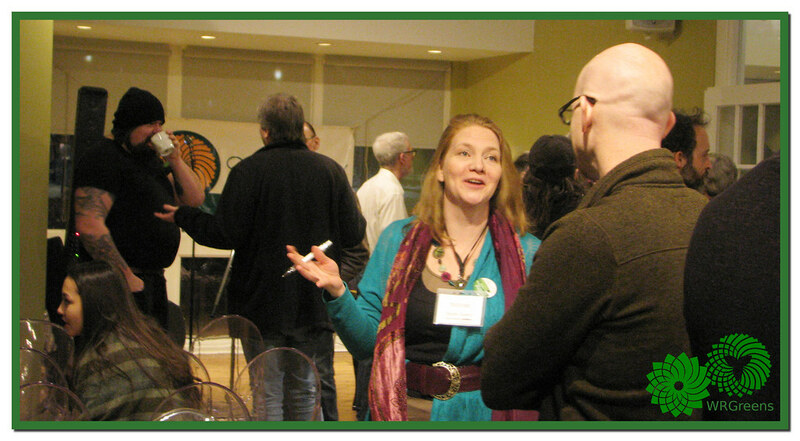 WRGreens have been invited to join our friends at Brant Greens for their monthly Green Drinks social event. 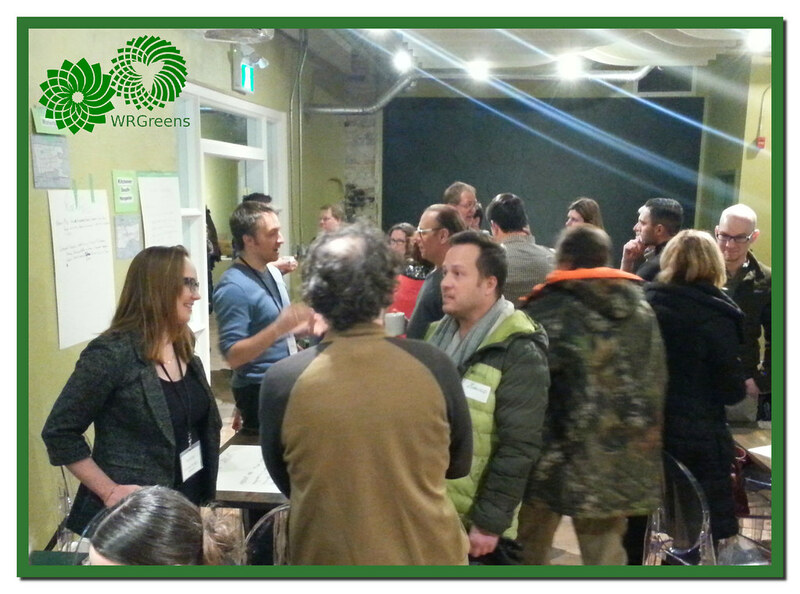 Apparently Green Drinks is a thing, and WRGreens is considering setting up our own version of events rotating through Waterloo Region. (http://www.sociabletavern.ca) 45 King George Road, Brantford. 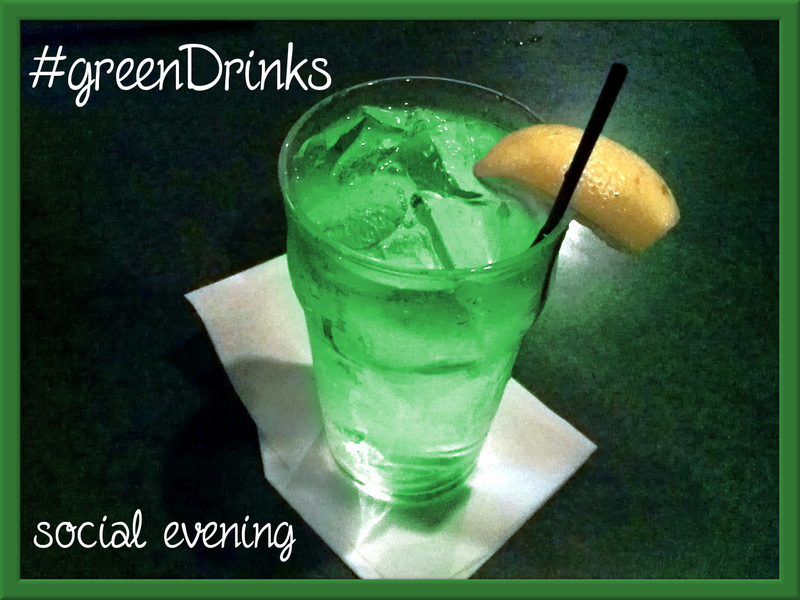 Enjoy a refreshing beverage and share the latest news on green events in Brantford-Brant. 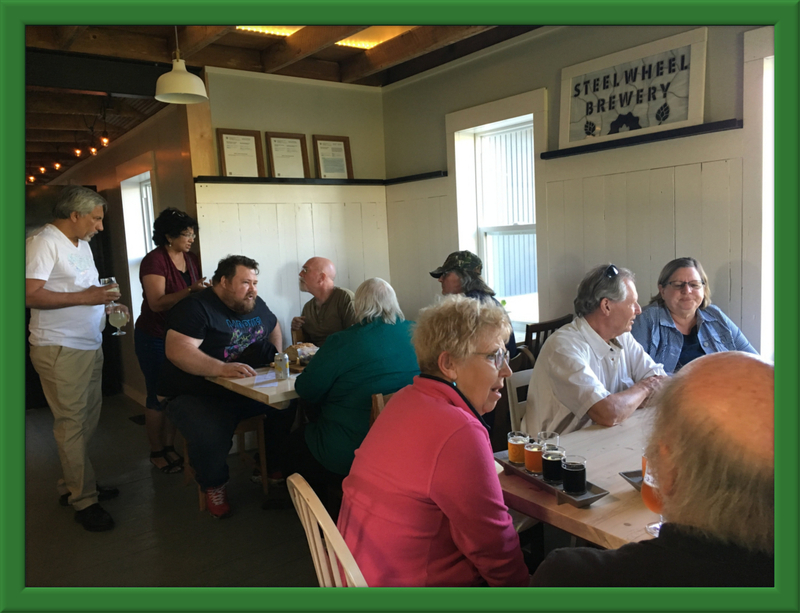 Meet new friends who care about the environment, neighbours engaged in their communities, and other like minded, hard working folks like yourself, who share a common desire for a sustainable future. 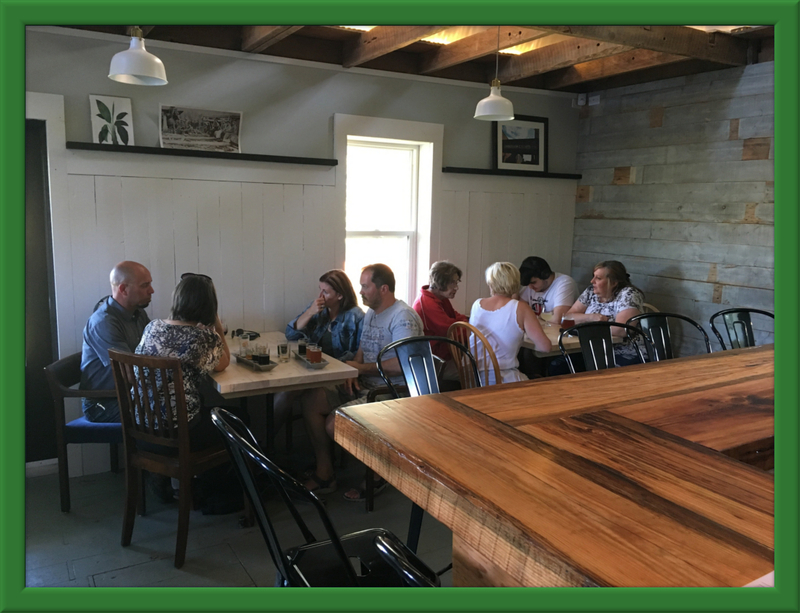 Brant Green Drinks is a great way to meet new people and enjoy the company of good friends. So bring a friend and look forward to meeting new friends. 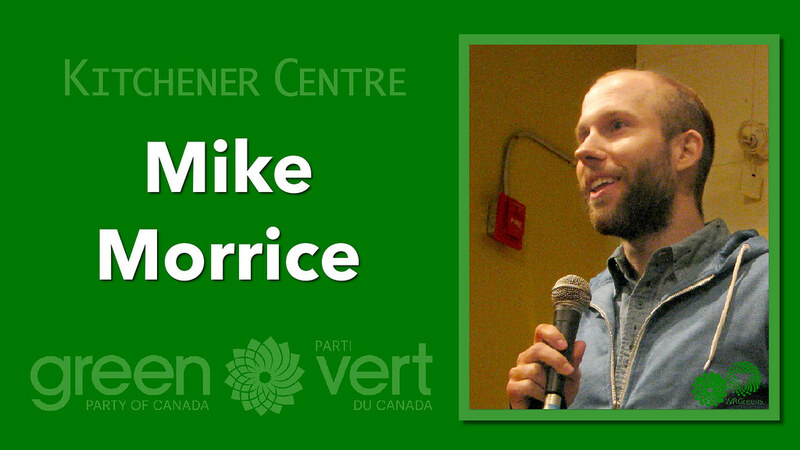 It’s an engaging evening of green thinking, sharing, and networking at its best! Please feel free to extend the invitation to other green minded folks you know! Pipeline Town Hall Wednesday Night! Community members are invited to discuss the Canadian government’s buyout of Kinder Morgan’s pipeline and tanker project with local members of Parliament. Excerpts of the film Directly Affected: Pipeline Under Pressure will be screened. Following the film, Rev. Rosalyn Kantaht’nta Elm (Oneida Nation, and a priest serving the Anglican parish of Six Nations) will join Chief Myeengun Henry (Chippewas of the Thames) and Dr. Angela Carter (BSIA Fellow and Assistant Professor in the Department of Political Science at UW) to reflect on the film and lead a discussion. Doors open at 5:30, plan to arrive by 5:45 to enjoy some snacks and find a seat. This event is free, with donations accepted to help cover the costs of the venue. 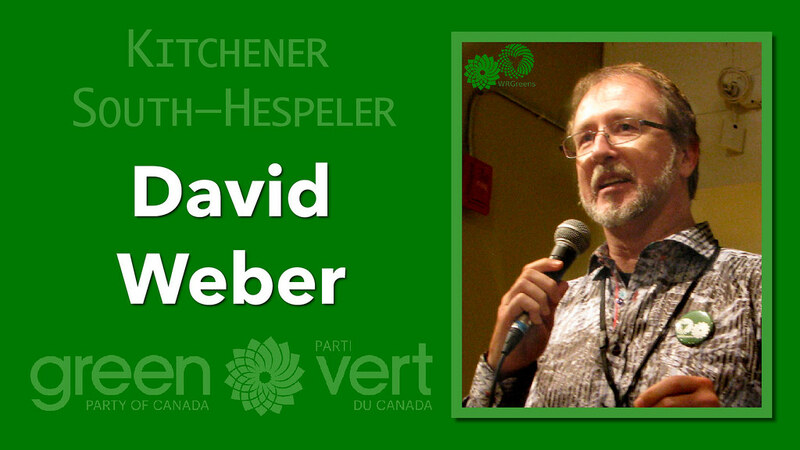 This Town Hall meeting and film showing of Directly Affected is not a WR Greens presentation, but is brought to you by 350.org, Divest Waterloo and the KW Chapter of Council of Canadians. It’ll be of interest to anyone with political or environmental interests. 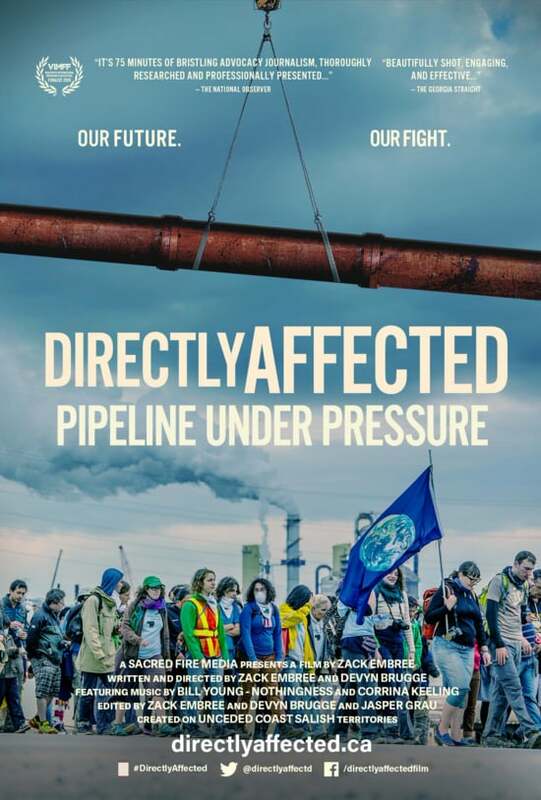 Join us for the KW premiere of Directly Affected: A Pipeline under Pressure, a film that details the known risks posed by the expansion of Kinder Morgan’s Trans Mountain pipeline–risks to people and our planet. Following the film, Chief Myeengun Henry (Chippewas of the Thames) and Dr. Angela Carter (BSIA Fellow and Assistant Professor in the Department of Political Science at UW) will reflect on the film and lead a discussion about the Canadian government’s buyout of Kinder Morgan’s pipeline and tanker project. 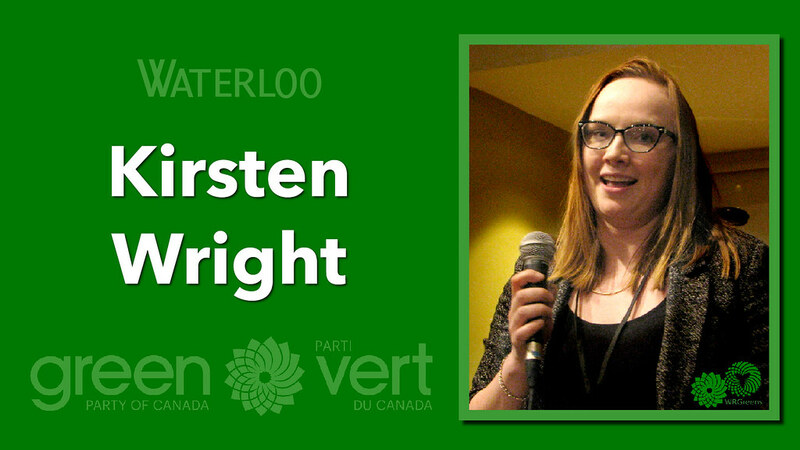 Members of Parliament from Kitchener and Waterloo will be invited to attend the town-hall and participate in the discussion. Join us for an engaging film, great food and an important conversation! Door open at 5:45 p.m.